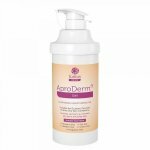 AproDerm Barrier Cream provides long lasting protection against irritation from bodily fluids associated with incontinence and nappy rash, whilst moisturising the skin. AproDerm Barrier Cream is scientifically formulated to maximise skin coverage and protection so only a small amount is required for each application. Many creams contain excipients such as SLS, parabens, halogens, fragrances and colours, which are potential irritants and sensitisers. 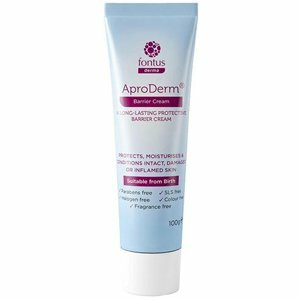 AproDerm Barrier Cream is free from these, so it can be considered that the risk of a reaction to a patient will be greatly reduced. AproDerm Barrier Cream is scientifically formulated to maximise skin coverage and protection so only a small amount is required for each application. 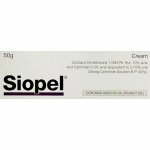 Patients should apply the cream sparingly to the affected area smoothing gently onto the skin, following the direction of hair growth. They should ensure that all the area is covered and repeat if necessary. If the skin feels too greasy, then too much has been applied. 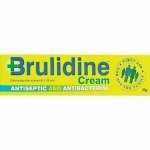 AproDerm Barrier Cream is for external use only, if your patient accidentally swallows some of it they should seek medical advice immediately. 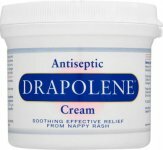 If you are allergic to any of the listed ingredients you should not use this product. 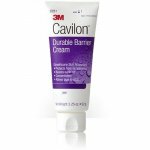 Should not be applied to infected areas of skin. Active Ingredient: Dimethicone and Trimethylsiloxysilicate (4%). Other Ingredients: Aqua, Capric Triglyceride, Cetearyl Ethylhexanoate, Petrolatum, Polyglyceryl-4 Isostearate, Cetyl PEG/PPG-10/1 Dimethicone, Hexyl Laurate, Phenoxyethanol, Ethylhexylglycerin, Sodium Chloride.